Fiction. Set in locations up and down the East Coast, these eight evocative stories explore the quiet ripples beneath the surface of everyday life. Although the characters rarely raise their voices, they are animated by the deep emotional undercurrents of desire, disillusion, and loss. In "The History of Florida," an idealistic young woman is consumed by her boyfriend's construction of Florida, the state in which he grew up, and to which he wishes to return. In "The New Millennium," a woman is enticed by her lover's desire for modernity, but discovers that she, like her older brother, is tied to tradition. And in "Rome," a forty-five year old man expects his teenaged daughter to be bound to his tragic legacy. With understated lyricism, the stories in THE STILLNESS OF THE PICTURE touch on the ever-present past that haunts all of our lives. 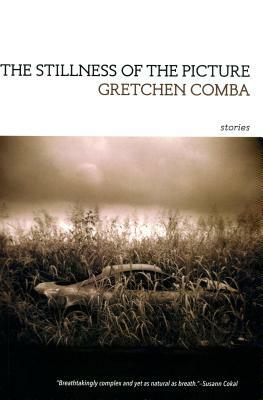 "Gretchen Comba's stories are breathtakingly complex and yet as natural as breath itself, depicting characters whom inexorable pressures purify into their truest selves. This book is an often melancholy but never self- pitying masterwork that proves how fragile life and happiness are--and how necessary it is to keep pursuing an elusive good that, once found, illuminates everything within reach." --Susann Cokal.